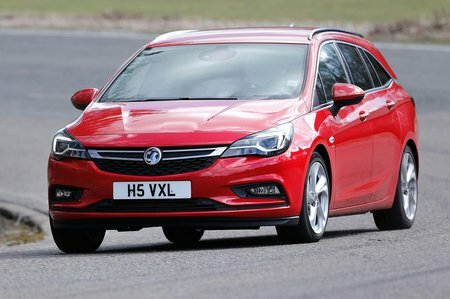 Vauxhall Astra Sports Tourer Running Costs, MPG, Economy, Reliability, Safety | What Car? 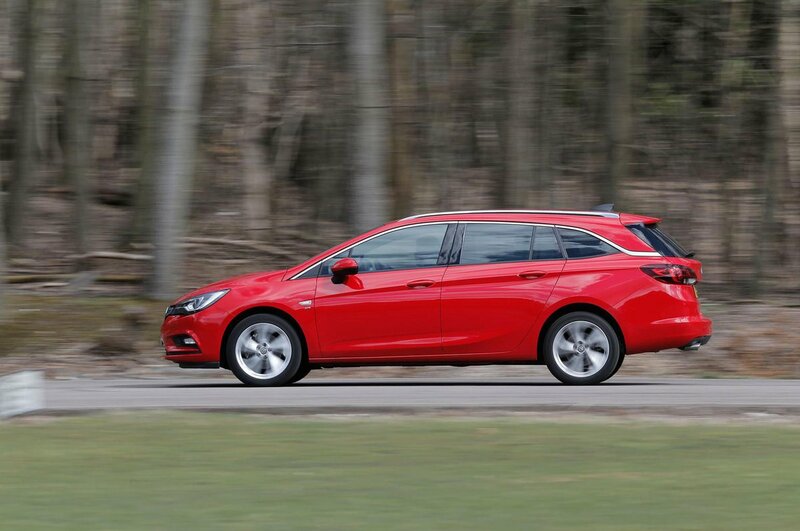 The Astra Sports Tourer is closely matched to most rivals on price, including the good-value Skoda Octavia Estate and Ford Focus Estate. The Astra doesn’t hold its value as well as some German rivals, but isn’t too far behind the Skoda Octavia Estate in that regard. Even base Design trim gets 16in alloy wheels, air-con, cruise control and electrically adjusted, heated side mirrors. We’d go for Tech Line Nav, though, as it adds a leather steering wheel, central armrest and automatic lights, along with the sat-nav we mentioned earlier. SRi gets a Sport button to weight up the steering, lots of styling extras and auto wipers, although you have to go for SRi Nav to add navigation. Top-spec Elite Nav is quite lavishly equipped, including leather upholstery, heated steering wheel and the upgrades we described in our infotainment section. It’s a bit of a jump in price, though, so you’ll have to decide if the extra tech is worth it. It’s disappointing that you have to pay extra to get parking sensors on any trim, but you can add these as part of a pack that also includes a rear-view camera, blind spot alert and parking assistance. It’s quite fuel-efficient too: even the 134bhp 1.6-litre diesel managed 52.5mpg on our True MPG tests. 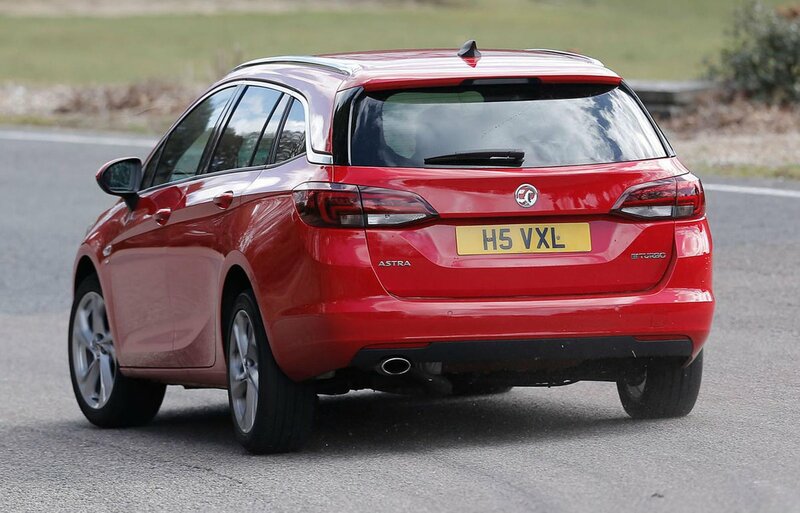 As you may expect, such excellent economy is reflected in the Astra Sports Tourer’s very low CO2 emissions. That 134bhp diesel, with the manual gearbox, manages 118g/km, while the less powerful version emits just 112g/km. If you prefer petrol power, the 1.0-litre turbo also manages emissions of 107g/km. That means benefit-in-kind (BiK) tax costs are low by class standards, increasing appeal for company car users. Meanwhile, Vauxhall finished in 11th place in the 2018 What Car? Reliability Survey, ahead of Ford but behind Skoda. The Astra hatchback, which is bodily similar to the Sports Tourer, received five stars when it was put through its paces by independent safety body Euro NCAP in 2015. All models receive plenty of airbags including side impact for the front and curtain ‘bags front and rear. A driving assistance pack that includes forward collision alert and automatic emergency braking (AEB) is available, but is only standard on SRi and SRi Nav trims.